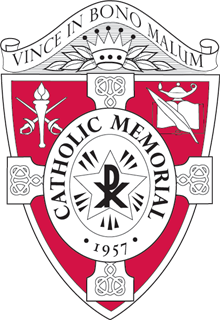 Campus Ministry is the spiritual heart of the Catholic Memorial School community. The purpose of Campus Ministry is to invigorate the faith formation of boys through a variety of programs, including liturgies and sacraments; the retreat program; the Peer Ministry program; and local, national, and international service and immersion experiences. Examine the ideals and values that guide their lives. Grow in their personal relationship with God and others. Reflect on and respond to the ways that God is calling them to place their unique gifts and talents in service of the Church and world. Throughout each of our programs, CM boys are empowered to open their hearts to the presence of God in their lives and in their relationships. Inspired by the Christ-like example of Blessed Edmund Rice, we ask them to respond to God’s love in their lives by going out into the world to love and serve others. Live, Jesus, in our hearts forever!